Just like every other major social network, Instagram is constantly making updates and improvements to its powerful and rapidly growing social network. While not every update is meant for every type of business, there are a few things you can do to not only optimize your profile but also your content. 1 – Getting Verified. Instagram established badges to help people find public figures, celebrities and brands without being mislead by fake accounts. By having a verified account (or that blue checkmark) basically means that Instagram has verified the authenticity of the account to let users know that they can trust the content being presented by that person and/or brand. While it can be time consuming and challenging, getting verified on Instagram is doable. First, you will want to build a large following. Larger audiences have easier times getting verified. Make sure those followers though aren’t bots and are actually real accounts. Second, you will want to make sure your videos and photos are of quality and capture your audience’s attention. Third, engaging with your followers are important. You can’t just be posting and one sided. Being social is very important in Instagram’s mind. Fourth, keep your account active. Once you have all that complete you can contact Instagram to seek verification. While there isn’t an official form to get verified, by spending money on the Instagram/Facebook platform will more than likely give you a support associate. The more you engage with that associate and tell them your verification desires, the greater the opportunity for you to get that big blue check mark. 2 – Hiding Your Hashtags. You may or not have seen recently a lot more Instagram posts including content and then a bunch of periods before hashtags are shown. 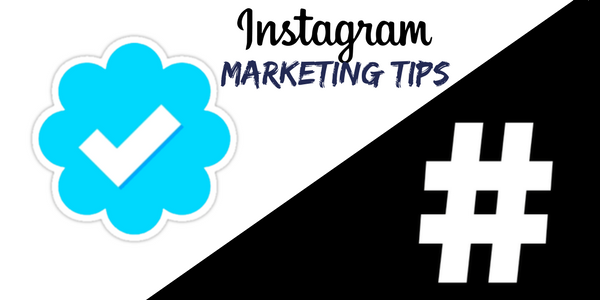 This is done to make your content look much cleaner and less spammy, while getting the power potential that hashtags provide. Since there is no return button on the Instagram keyboard on your mobile device, you will have to do this by toggling back and forth between your Instagram app and the Notes app. Luckily though, Instagram recently updated their API and is allowing many third party applications such as Hootsuite and Sprout Social to let users create and publish Instagram posts straight from your desktop without the push notification feature. This can make these new cleaner posts much easier and less time consuming to create.